I recently made sweet lil’ two-year-old Bronte a dress and couldn’t be happier with how it’s turning out (it still needs to be hemmed). 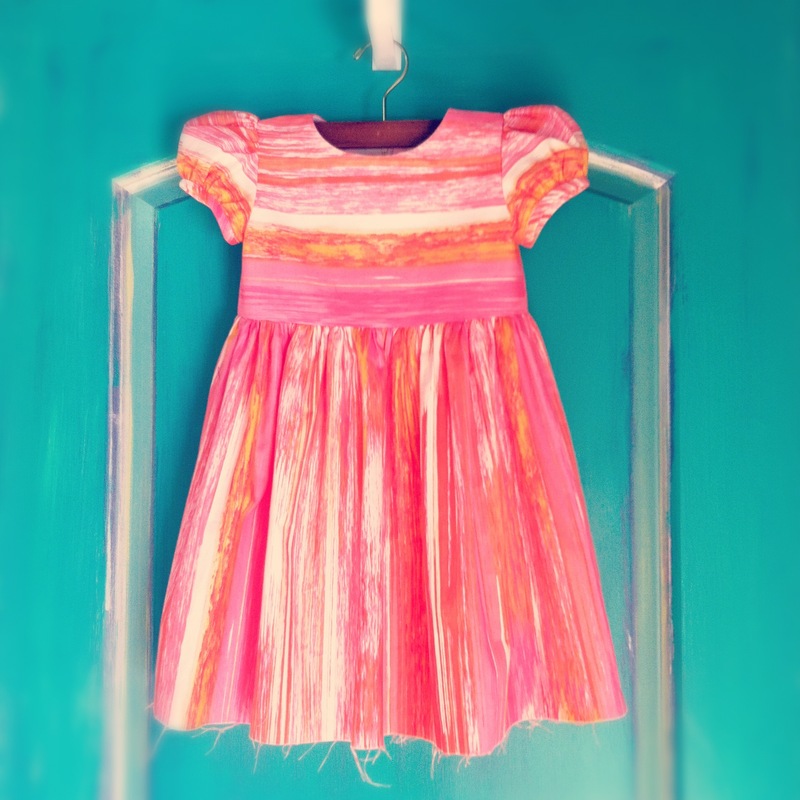 Bronte will be sporting this pretty, bright dress down the aisle as the flower girl for a wedding in October. I’m thinking we should add a white wide ribbon around the waist that ties in a flowing bow in the back. Her big brother (~5 years old) is going to accompany her. Should I make a tie or bow tie for him?! I can’t decide! The dress is fab miss sally I prefer tie for the little guy. A vest of the same fabric for the boy would be cute too with no tie.